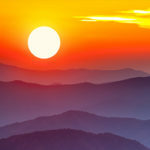 Bharata is a long-time student of A Course in Miracles, having worked with it daily since 1980. 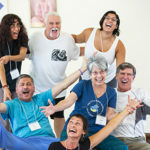 A Laughter Ambassador, he has trained hundreds of Laugha Yoga Leaders and led thousands of people through Laugha Yoga® sessions, a philosophy of spontaneous Self liberation. He was trained and certified in laughter Yoga by Dr. Madan Kataria, founder of the world-wide laughter clubs. For thirteen years he produced and hosted a television program, A Course in Miracles Study Group, which was distributed in the US and abroad. While conducting numerous programs and workshops, he authored the book, An Ancient New Idea: A Primer on A Course in Miracles. He is also the author of Laugha Yoga: Combining the Joy of Laughter with the Bliss of Yoga. Bharata is also an Integral Yoga instructor, guiding students in physical postures, deep relaxation, and meditation. Click here to see Bharata’s Laugha Yoga resources. Practice Laugha Yoga with the DVD: Laugha Yoga: Combining the Joy of Laughter with the Bliss of Yoga, with a talk included on Your Health is a Laughing Matter. You can also order the CD and Mp3: Guided Laughing Meditation, all available at Shakticom.